Monsanto was preparing for the annual 'Top Producer of the Year' seminar. This event is dedicated to identifying and honoring agricultural producers, culminating with the announcement of the Top Producer of the Year. 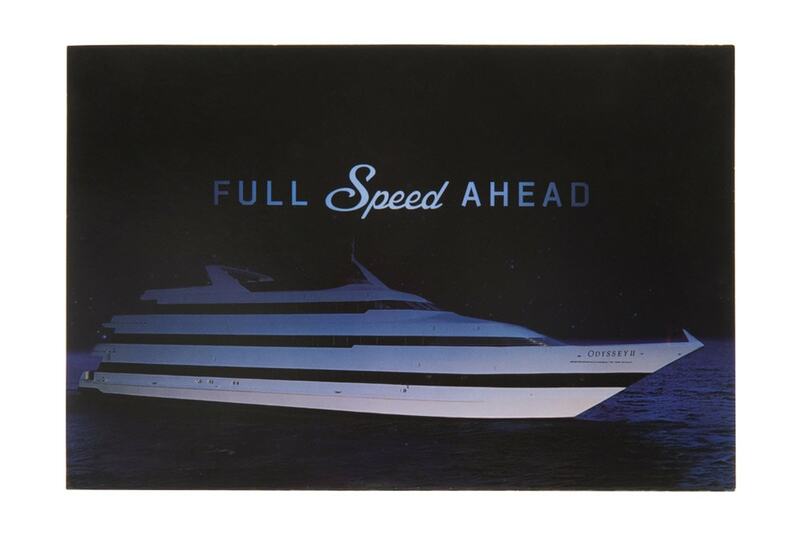 Before the main event, Monsanto was hosting an exclusive dinner aboard the cruise ship, Odyssey II. The ship was scheduled to sail around Chicago, providing a stunning view of the skyline at night. 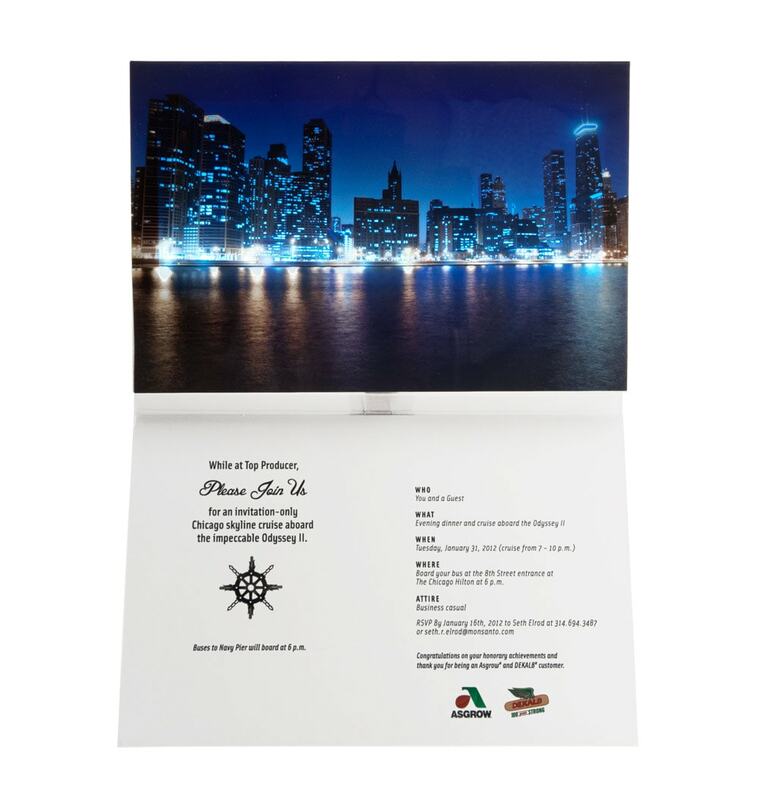 They wanted an invitation that would underscore the amazing location and generate excitement for the dinner. Monsanto and their agency, Osborn & Barr, chose to highlight the scenery and add an element of surprise to the invitation by turning to Americhip's Multisensory toolbox. 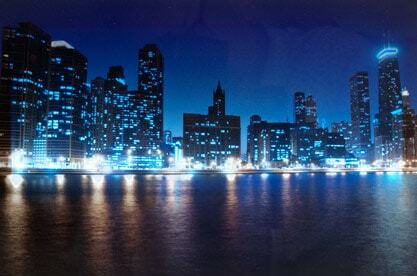 The result was an image of the Chicago skyline that literally illuminated when the invitation was opened. This was all possible thanks to Americhip's LED expertise. The recipients were blown away by this unique lighted application. It was the perfect way to showcase the beauty of the city and provide a memorable token of the event.